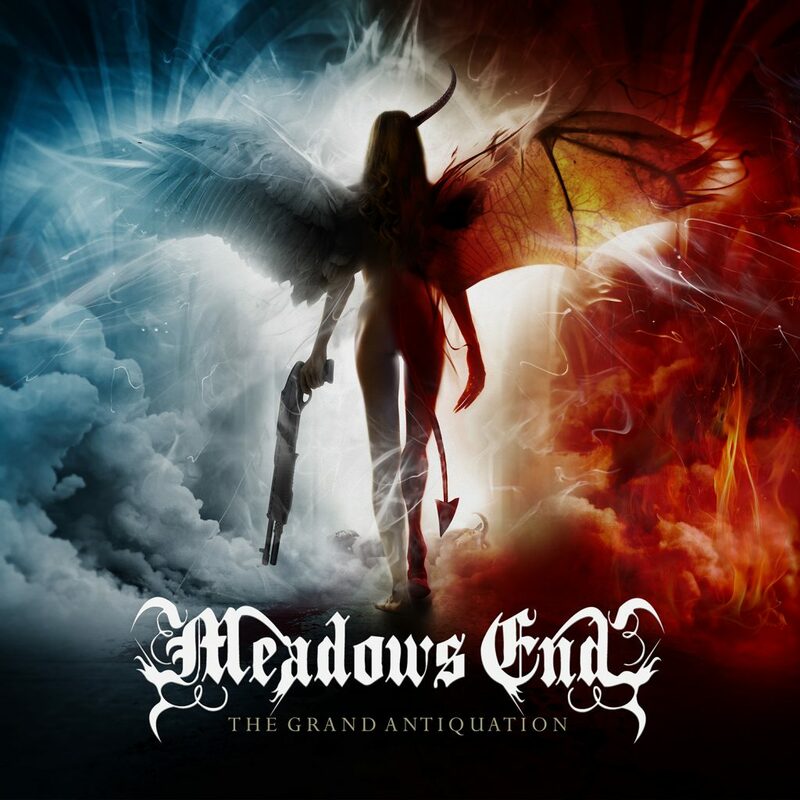 In March Meadows End will release their new album, called The Grand Antiquation. 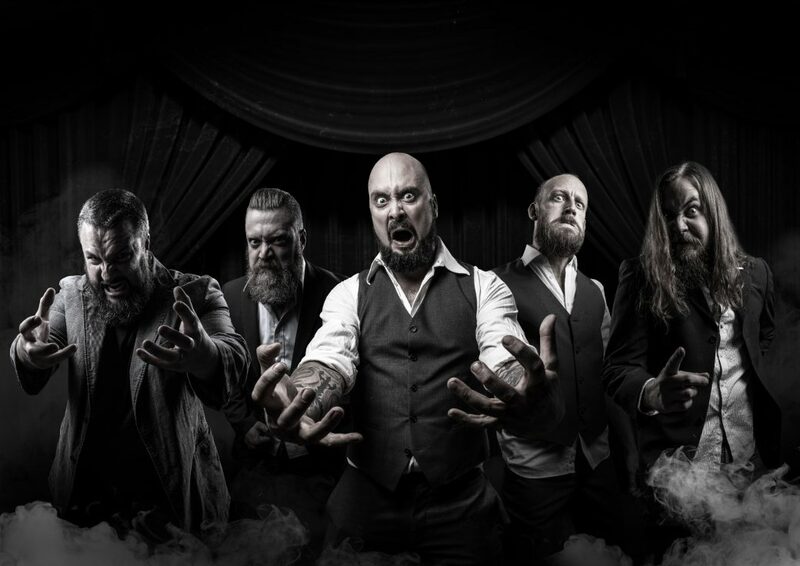 DutchMetalManiac’s Tim van Velthuysen recently interviewed Meadows End’s bassplayer Hel about this upcoming album and their recent videoclip, among other things. Hey, congratulations with your new upcoming album, The Grand Antiquation. It’s really nice! Thanks, man! We’ve put more effort in this one than in any of the other albums and we feel it really pays off. The songs are great and the production is awesome so we’re confident that people will like it at least as much as our older albums. The creator of your previous artworks, Fredrik Burholm, sadly passed away last year, my condolences for your loss. Thank you. That was really a chock. He hadn’t told anyone about his illness and one day he wasn’t around anymore. Other than being a talented artist, Fredrik was a genuinely great guy who was fun to hang with. We really feel for his family and we want to dedicate The Grand Antiquation to Fredrik. The artwork of The Grand Antiquation is now made by Xenoyr of Ne Obliviscaris. What made him, in this new situation, the right person for this job? Well. When Fredrik left us we stood at a loss since we had begun tossing ideas for the next cover. We didn’t really know anyone else since we’ve always collaborated with Fredrik, so we simply asked our fans for recommendations on great artists. We got quite a few suggestions and chatted with a couple of them, but there was something in Xenoyrs earlier work that struck a chord in us and when he seemed intrigued in the concept for the cover it just felt right to go ahead. Can you tell something about the story behind it? It’s actually a theme that keeps coming back in our lyrics ever since the old Sojourn days. The fundamental thought is “What’s really good and evil?”. What happens when a good person makes decisions that affect other people in a very negative way or vice versa? Is that person good or bad? What defines us? WHO defines us? Ourselves or others? It’s split in an angel-side and an devil-side. However the angel-side is holding a gun, can you elaborate on that? It’s simply a mind game. What if angels really aren’t benign beings and what if demons aren’t malign? In this case, both angel and demon has killed their master as you might see in the background at their feet. This is where the Antiquation bit comes in. It’s time to shed a lot of old rules, morales and ways of thinking if we want to make this planet a more bearable place to inhabit. The first single and video of The Grand Antiquation is Non-Dreaming Eye, which is your first video clip ever. How was that experience? Warm… We’ve had the idea to shoot a video in a sauna for quite some time, although it was somewhat different, and it evolved to this video when we received the get-go from the owner to use this magnificent sauna. So we got some friends in there and Ted from Bullsize worked his magic with the camera. It was about 122 degrees Fahrenheit, 50 degrees Celsius in there and we shot video for about three hours. So we did not need to simulate any sweating. It was really hot and loud in that place. A great memory to look back on! For the video of Non-Dreaming Eye you also worked with Ed “Infidel Amsterdam” Veter. How was working with him? Will there be more video clips in the future? Yes! Next up is a lyric video and after that there’s another music video that we shot the same day as Non-Dreaming Eye. That was a loooong day. And after those, who knows? We’d love to shoot some more videos for other songs of the album as well. For The Grand Antiquation you signed with Black Lion Records. What makes Black Lion Records the best record label for Meadows End at this moment? Their drive, their passion about the music, their willingness to let us have a lot of control of most of what’s happing with our music, promotion and everything that’s involved. And it’s a great bonus that they are situated not too far from where we’re at. We can go meet Oliver in a nearby town and meet in person, which is great. You already announced that you’ll play Gamrocken 2019. Can we expect more tour dates in support of The Grand Antiquation in the near future? Maybe coming to The Netherlands? There are a few more dates in discussion right now and more are coming in, but Gamrocken is the only confirmed one as of yet. We would LOVE to tour in Europe and swing by the Netherlands. We need help with that, though, so we’ve contacted some booking agencies to see if we can hammer something out. Join us at our YouTube channel and Facebook page and don’t be a stranger! We love to interact with our fans and friends as much as possible so give us a visit, check out our music and give us a shout! And to those of you that already have our backs, we appreciate every last one of you for helping us spread our music. Here you can also read our 21st part of Promoting Bands in which we also mentioned Meadows End.